Ghana field work: pollen traps, vegetation, lakes and horses! 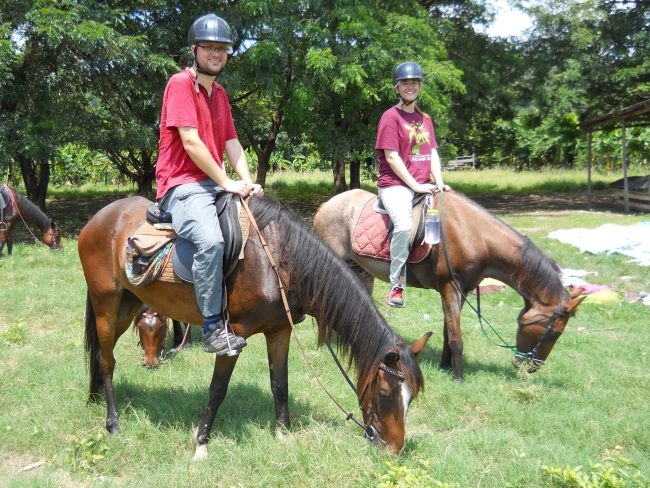 Phil and Adele have survived field work in Ghana collecting pollen traps, looking at the vegetation, visiting Lake Bosumtwi and riding horses (!?) – hooray. For full report and pictures visit Adele’s blog Plants in real life.